The Overland track, it turns out is a great track to do on your own. Huts at the end of each day as well a constant stream of people passing you in case anything goes wrong. You are never really completely isolated, its kind of like a hikers highway. This is a good thing if like me you have been meaning to do the Overland for some time but could never line up trekking partners. The huts are only one of the reasons that the Overland is easier than other walks. Just the knowledge that at the end of the day there would a roof and space to dry out was a huge comfort. The huts themselves were the best I have come across in Australia so far. But as the guide books tell you, they can fill up quickly and I was glad to have my bivy sack. Especially on the nights where there were snorers in hut. One particular night, after already moving outside I was forced to relocate again to a place closer to a river to get away from loud snoring. While I am glad to be able to tick off the Overland I think if I were to come back to the track it would have to be in winter. 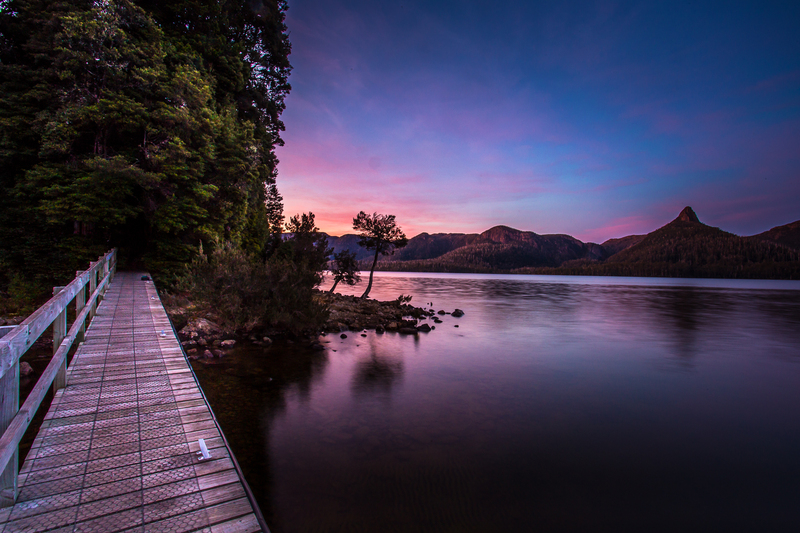 There are too many other Tasmanian trails beckoning.